In today’s fashion retailing business, Visual Merchandising plays an important role to bring shoppers inside the store and make them a purchase clothes. 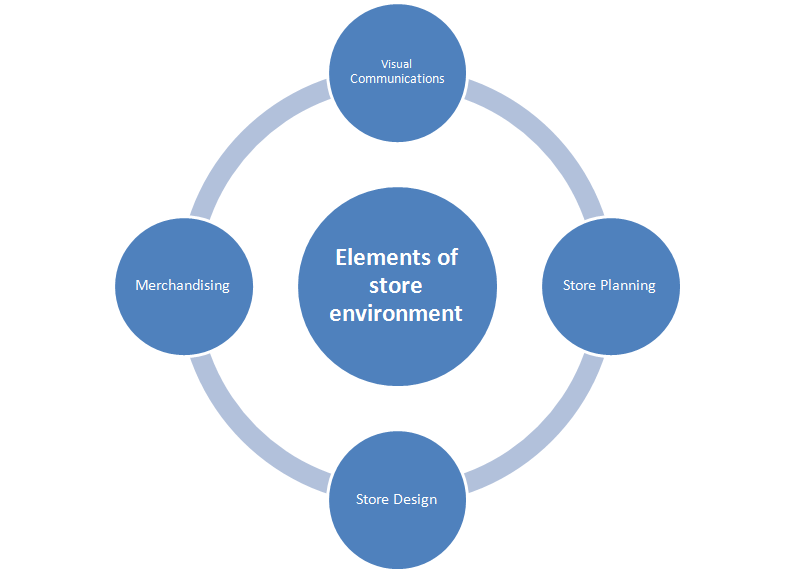 In this article author has showcased an overview of visual merchandising and built a relation in between visual merchandising and retailing. Visual merchandising is also coined as the Art of Retailing. Related o the world of apparel and fashion visual merchandising has great impact and utmost relation in retailing. There is a saying -“Give the customer a reason to buy”. Visual merchandising can be simply defined as the physical presentation of products. It is the coordination of all physical elements of a business to project the right image. Visual merchandising has increased tremendously in importance with the growth of self-service retailing. The purpose of such visual merchandising is to attract, engage, and motivate the customer towards making a purchase. Establishing a creative medium to present merchandise in 3D environment, thereby enabling long lasting impact and recall value. Drawing attention of the customer to enable him to take purchase decision within shortest possible time, and thus augmenting the selling process. Where the products are located and how retailers arrange it around the store can be placed based on shoppers’ buying behavior. For their easy access and reach, the ultimate visual merchandising is liable. A proper visual merchandising can affect on consumer decision to make a buy from prompt to multiple. Basically visual merchandising is key element by that a company boosts up their profit margin. So what is visual merchandising? It is a possible or best way to attract customer to purchase a product that a retailer offer. Here are some tips to help you to success in visual merchandising. Whether: One of the most effective visual merchandising is by coming up with a theme that incorporate with the seasons. So if it is currently winter or holiday, then try to come up with some holiday and colorful theme for window display. If it is summer then it should be such kind of beach or related with the summer. Signs: You can make different signs around the stores that help to make customer attention. This is certainly helps to boost-up your sell, especially when you called a discount on the specific products. Windows displays: It is very important for the retailing, regardless whatever products you want to offer. This is the first place where a customer gives their concentration at a glance. You should give utmost importance to it. Lighting: Coming up with good lighting to the window display is very essential for success of your visual merchandising. The lighting helps your products displayed color & season wise on your window. It is recommended that you give emphasis on those products that have good profit margin. Elements play an important role to get overall effect to the retail environment. Four visual elements that compose the retail environment are shown in the following diagram. About Rakibul Hassan: Rakib has completed his B.sc in Apparel Manufacture & Technology form Institute of Science, Trade & Technology from Bangladesh. Now he is working in an export house as a Merchandiser from June 2012. He has expertise in costing, consumption, planning, follow up, different types of washing etc. Visual merchandising in fashion retailing.